Bicalutamide is a non­steroidal anti­androgen, devoid of other endocrine activity. It binds to androgen receptors without activating gene expression, and thus inhibits the androgen stimulus, causing the inhibition of prostate tumor regression. WIBICAL® is presented in two different strengths (50mg and 150mg) in blister packs of 30 capsules. 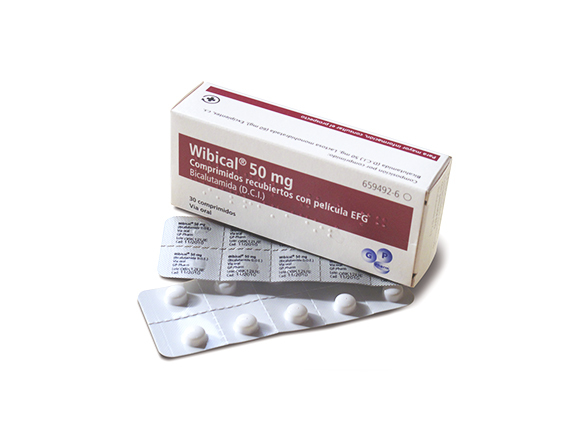 WIBICAL® 50mg is mainly indicated for treatment of advanced prostate cancer in combination with Luteinising Hormone­Releasing Hormone (LHRH) analogue therapy or surgical castration. WIBICAL® 150mg is indicated either alone or as adjuvant to radical prostatectomy or radiotherapy in patients with locally advanced prostate cancer at high risk for disease progression.